In the UK & Ireland alone almost 10 million people suffer from joint pain caused by osteoarthritis or inflammatory arthritis1. present an affordable and natural alternative to arthritis medications7. 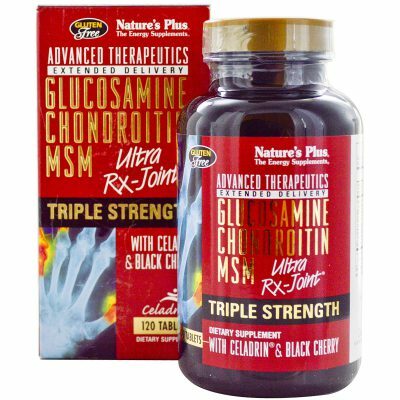 Simple glucosamine and chondroitin products are already popular with arthritis patients. However, their effectiveness can be greatly enhanced when combined with anti-inflammatoriy nutrients like omega-3, pine bark extract and vitamin E. Further, additional nutrients like MSM and SAMe can protect and rebuild cartilage. When all these nutrients are combined into a single combination product, these joint supplements offer a convenient alternative treatment strategy. Which Products Have We Tested? We have compared and scored 24 popular joint supplements based on their nutrients, dosages and value for money. All of these products are either available on the high street or can be bought online and delivered anywhere in the UK and Ireland. In this comparison, we only examined dietary supplements and dietetic foods suitable for long-term use. They needed to include a number of clinically-proven effective micronutrients and had to be available over-the-counter either on the high street or online for delivery in the UK & Ireland. Painkillers, drugs or homeopathic remedies are not part of the comparison. We only included products from pharmacies or online shops, whose contents and dosages are clearly declared on the packaging or websites. We compared the ingredients and dosages of over 20 known products from the pharmacy and online shops and tried to make the them comparable. At first glance, many products are similar. Looking more closely, however, the differences in the constituents and active substance amounts are considerable. We awarded up to 20 points per active ingredient for the most thoroughly researched, clinically proven beneficial joint nutrients glucosamine, chondroitin and MSM. We awarded up to 10 points for well-researched nutrients and natural remedies Omega-3, Hyaluronic acid and pine bark extract. These micronutrients are thought to be slightly less effective than glucosamine and chondroitin. They also cannot be sold as medicines according to our research. There is good evidence of their beneficial effects and there are no significant side effects. We awarded up to five points for all other positively-researched micronutrients that are important for the musculoskeletal system, cell protection and the immune system. In our calculations, these include Collagen, vitamin A, vitamin E, vitamin C, vitamin D, amino acids, selenium, manganese and zinc. When deficient in the body, these micronutrients can lead to joint problems and are therefore important for general health. Even without a known deficiency, increasing the intake of these nutrients can have important health benefits (although not necessarily always clinically proven). This applies in particular as the body ages and demand for nutrients increases as a result of illness or medication. There are no known adverse side effects even in larger dosages. A micronutrient only becomes effective when it is sufficiently highly dosed. For example, we have reduced the scores when a nutrient is present in the product, but the dosage is lower than generally recommended. Under these criteria a perfect score of 135 points could have been achieved by a product. However, no joint supplement was able to achieve this. Firstly, this particular “perfect” nutrient mix does not yet exist. Secondly, it would take a large amount capsules of (approx. six to eight) to provide the appropriate nutrient dosages on a daily basis. Other potential criteria such as packaging, dosage form (tablets, capsules or powder) as well as price have not been included in point allocation, because of a natural variation in personal preferences. All test orders were received within 1 – 4 business days and all returns were processed to a satisfactory degree. We have therefore not included this factor as a separate score either. Pain relievers, medicines and homeopathic remedies were excluded. We also attempted to focus on products, which had their ingredients and dosages clearly labelled. Products with “proprietary mixes”, which did not break down the exact nutrient composition lost points on poor transparency. Green-lipped mussel: may help, but product quality varies significantly. It includes large amounts of glucosamine and selenium, which is why it is better to take outright glucosamine + selenium supplements. Boron: initial research suggests that a boron deficiency can cause joint problems. This micronutrient has not yet been sufficiently researched. Willow Bark: In the single study testing it against a non-steroidal anti-inflammatory drug (NSAID) for osteoarthritis, it wasn’t as effective for pain relief. amitamin’s arthro360 scored 90 points and is tied with ARTHRO PRO in first place. The manufacturer’s suggested retail price is £39.95. Most pharmacies charge approximately £35. The Triple Pack for three months is available 38% cheaper at £24.95 per month. Shipping is free in 26 European countries. The test order arrived within 72 hours. arthro360 has the best micronutrient combination and dosage, which is clinically effective levels. Per day it includes 1,400 mg of glucosamine sulphate, 400 mg chondroitin sulphate, 150 mg MSM and almost all other proven joint nutrients. The product omits SAMe, but importantly includes 300mg of omega-3-fatty acids. arthro360 is available in many high-street and online pharmacies. 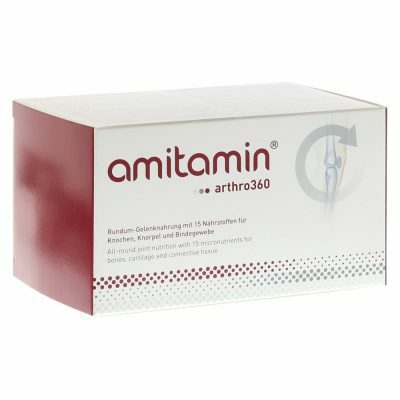 You can purchase arthro360 in online pharmacies or here directly from the manufacturer. ARTHRO PRO by aminoexpert is the other top scorer with 90 points. It costs up to €44.50 per monthly box, however, the 3-month bundle is 34% cheaper at €29.50 per month. Although it lacks omega-3 fish oils, the nutrient “stack” and dosages are clinically effective with 1,200 mg glucosamine, 600 mg chondroitin, 300 mg MSM and 120mg SAMe per day. Multiple joint support amino acids, vitamins, minerals and the anti-oxidant pine bark extract are all present in large amounts. ARTHRO PROs nutrient “stack” and dosages are similar to arthro360 with 1,200 mg glucosamine, 600 mg chondroitin and 300 mg MSM. It omits omega-3, but includes 120mg SAMe per day. Multiple joint support amino acids, vitamins, minerals and the anti-oxidant pine bark extract are all present in large amounts. Shipping is free to 21 European countries and the test order arrived within 2 days. 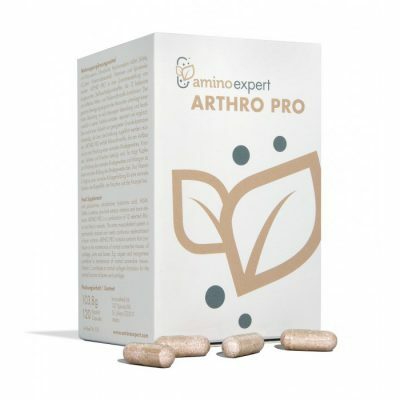 You can purchase ARTHRO PRO from aminoexpert here. The second most expensive product in the test, Ultra-Rx Joint scored 71 points with its 1,000 mg glucosamine and 800 mg chondroitin. It also has particularly high dosages of 1,000 mg MSM, 200 mg vitamin C and 20 mg Manganese. Its other key ingredients Black Cherry Extract and Celadrin (esterified fatty acids) are not backed up by clinical research and were therefore not included in the tally. It is also missing several key joint and cartilage micronutrients such as omega-3s, pine bark extract, collagen, hyaluronic acid, SAMe, vitamin E, copper and zinc among them. Advanced Therapeutics Ultra Rx-Joint is a popular joint supplement in the United States. The test order took eight days to arrive – too long in this day and age. Revive Active Premium Joint Complex scored 70 points and costs £37.50 per month. Shipping is free with amazon PRIME and only took 1 day to arrive. It comes in daily powder sachets, which can be mixed with water, juice or smoothies. Produced in the USA and due to its powder format, it scored well due with its unusually high MSM and collagen amounts amongst standard Glucosamine and Chondroitin dosages. It does lack omega-3 fatty acids, strong antioxidants, amino acids, vitamin D, vitamin E, zinc or selenium and therefore many key joint nutrients. The sachet format, however, represents a convenient alternative for those preferring to avoid having to swallow capsules whilst missing out on a few nutrients. Met-Rx Super Joint Guard has 63 points, because of its good array of vitamins and essential fats. Unfortunately, they are “bundled” into an untransparent proprietary mix so individual dosages are unavailable and the points were lost as a result. They are also mostly dosed far too low compared to dosages used in clinical studies to make any sort of impact. It does include a good quantity of Glucosamine sulfate and Chondroiton sulfate and even Hyaluronic acid, but it is lacking in trace minerals lacking zinc and selenium altogether. Arthri-Flex Advantage scored 60 points, because it combines Glucosamine Sulfate, naturally occurring Chondroitin Sulfate and MSM. Significantly, the Chondroitin comes from “Premium Chicken Sternum Type II Kollagen” and is not quantified on the packaging. The chondroitin could therefore not be quantified for this evaluation and the points were lost as a result. It also is not It does not contain Selenium, Vitamin D and vitamin E or omega-3 acids. This drink powder from the USA scored 60 points with its extremely high dosages of Kollagen and MSM. The standard dosages of Glucosamine and Chondroitin due to an approximate amount of 10g drinking powder per day. It has, however, a very limited nutrient profile, because omega 3 acids, antioxidants, vitamins and trace minerals are missing altogether. It was therefore ranked 7th although it has the same number of points as 6th ranked Arthri-Flex Advantage. This product scored 55 points with its good mix of the basic nutrients Glucosamine, Chondroitin and MSM, but it is missing omega-3s, amino acids and most clinically proven vitamins and trace elements. 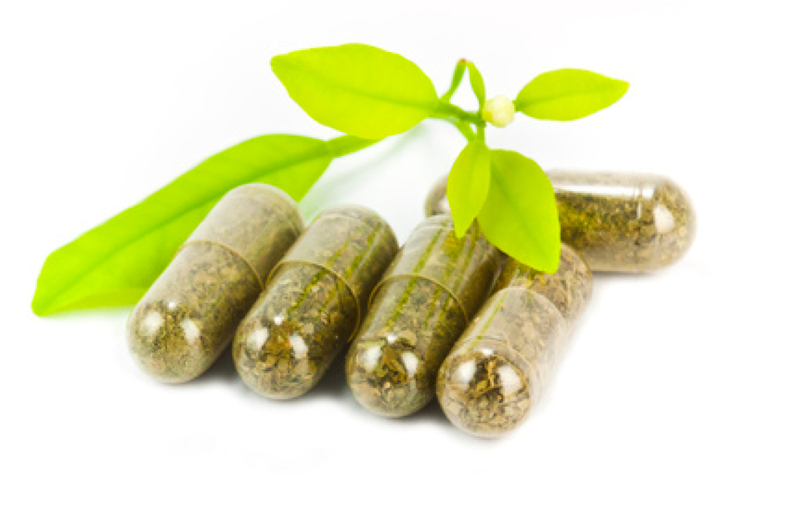 Products with a recommended intake of one or two capsules or tablets per day may can either only supply a few active ingredients or the dosage may be too small to be effective according to current opinion. In general, the more you spend, the more you can expect. This is not always the case, however! Good products are available both online and in the pharmacy. In our opinion, however, you should only buy if the ingredients and quantities of the ingredients are clearly indicated. Unfortunately this is not always the case. Products with unclear content labelling were therefore not included in the product comparison. What Makes a Good Joint Supplement? A quality arthritis food supplement should include the following micronutrients. Omega-3 fatty acids (DHA and EPA) from fish oil. They have an anti-inflammatory effect, promote good cardiovascular health and help reduce bad (LDL) cholesterol levels. Pine bark extract has been researched extensively since the mid-1990s and proven effective for its anti-inflammatory and analgesic effects on osteoarthritis and arthritis. MSM (methylsulfonylmethane) is an organic sulphur compound. MSM has powerful anti-inflammatory effects and helps to protect against cartilage degradation. Amino acids such as methionine and cysteine are good sources of sulfur as well as MSM. Joint experts recommend a diet rich in these amino acids. Hyaluronic acid is usually injected directly into the joint, but also recommended by many experts for use as a dietary supplement. Further research studies are desirable to show effective dosage and treatment duration. Collagen hydrolysate: Taken as a separate powder and normally dosed at 10 grams per day. Not as well researched as glucosamine and chondroitin, but still recommended. Vitamin C is important for immune system. It also helps to protect against cell-damaging free radicals and is involved in the formation of collagen fibres. In the Stone Age humans consumed approximately 4,000 mg vitamin C daily via their diet at the time. Today most adults in the Western world struggle to consume the minimum daily recommended dose of 80 mg per day. Vitamin E is a fat soluble antioxidant. Highly-dosed vitamin E is also an anti-inflammatory analgesic. About half of all people in Central Europe are deficient in vitamin E.
Vitamin D is important for the immune system, calcium metabolism and therefore bone health. A lack of vitamin D is one of the main causes of osteoporosis according to nutritionists. Approximately 90% of people are deficient in this vitamin and supplementation is therefore highly recommended, not just for for arthritis patients. Selenium, manganese, copper and zinc are trace elements with an inhibitory effect on inflammation. They protect the cartilage from breakdown and promote beneficial metabolism of connective tissue8. Painkillers or food supplements. What is better? Should you rather use conventional pain relief or nutritional supplements and natural remedies? It is very important to have a full medical examination and professional diagnosis before determining the correct course of action for any joint problem. Only a fully qualified medical professional will be able to provide a correct diagnosis and determine the most likely causes of pain and joint degradation. Pain killers can help quickly, cheaply and are almost universally available. However, they do not promote the generation and repair of cartilage, can have detrimental long-term health effects (can lead heart and liver problems) are therefore not appropriate for long-term use. It is thus important to discuss your health with a doctor or pharmacist in order to chose the most appropriate painkiller and dosage. Dietary supplements and other natural remedies for joints do not have immediate effects. They may need to be taken for weeks, and in some cases months, before the nutritional benefits initially become obvious. Crucially, however, they tend not to have known side effects and for the most part have been proven effective in peer-reviewed, clinical studies in supporting better long-term cartilage health and sometimes even re-generation. It’s important that if you have a shellfish allergy you do not take glucosamine. Allergies to other substances such as chondroitin and MSM are rare, but should be checked against in individual cases. The food supplements featured in this comparison are just a few from a very large amount of joint & cartilage support products available on the market. The metabolic benefits of the micronutrients are mostly well documented. 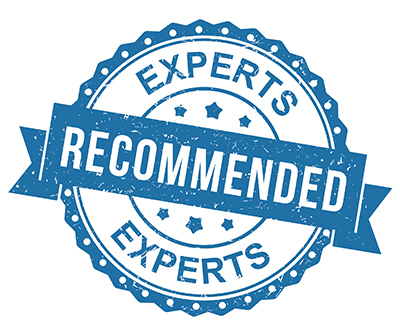 Please keep in mind that some products, which that have achieved lower scores in our test or that have not been listed may be more beneficial than other products depending on individual conditions. Nevertheless, we strongly believe that we’ve made the criteria as transparent and fair as possible. This overview can and must not replace a professional medical assessment and diagnosis conducted by a fully qualified and registered orthopedists, rheumatologists or sports medicine specialists. This comparison is therefore not meant to promote unsupervised self-medication. the prevention of obesity and the resulting pressure on joints. Please consider these factors, as well as regular exercise, a healthy, well-balanced diet rich in whole foods, fish and low in red meats – not only for your joints, but indeed for you overall health, vitality and longevity.